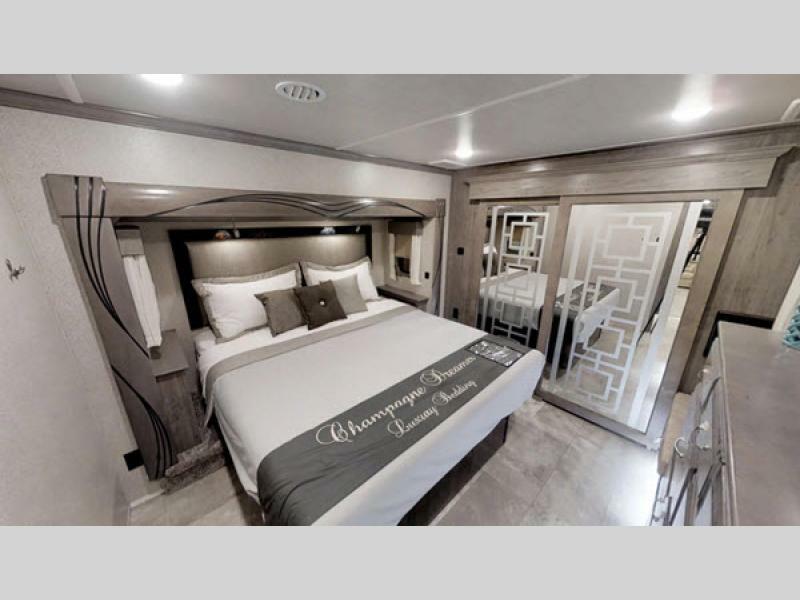 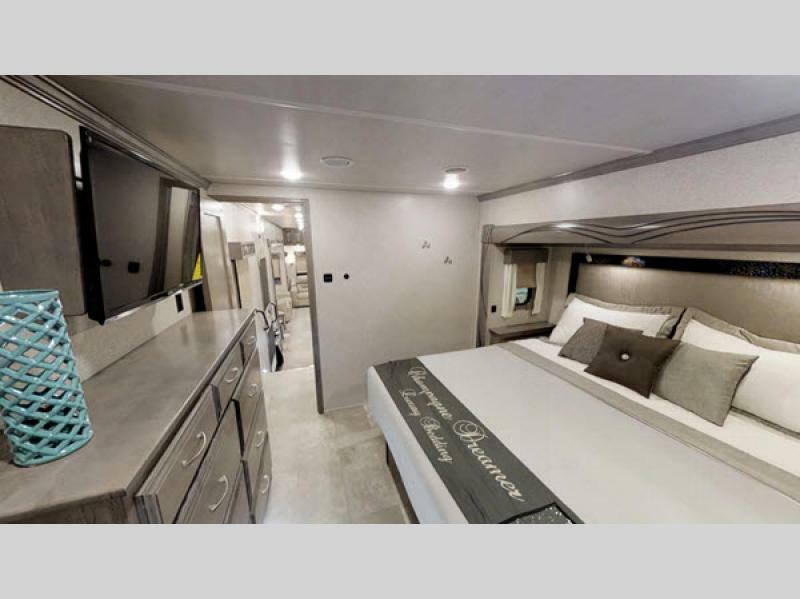 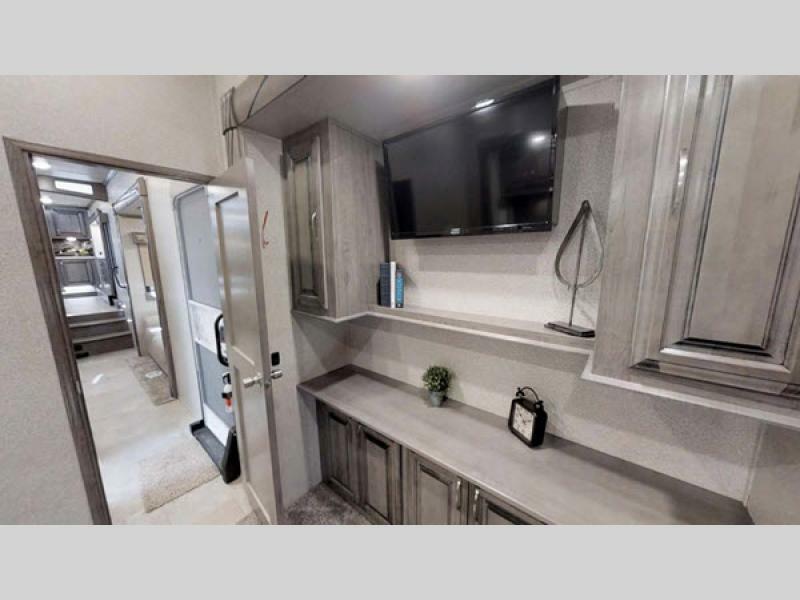 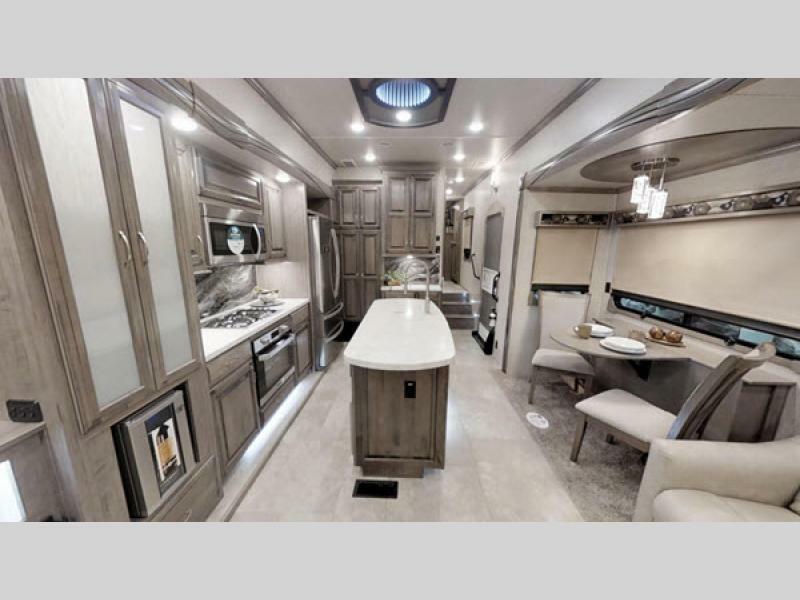 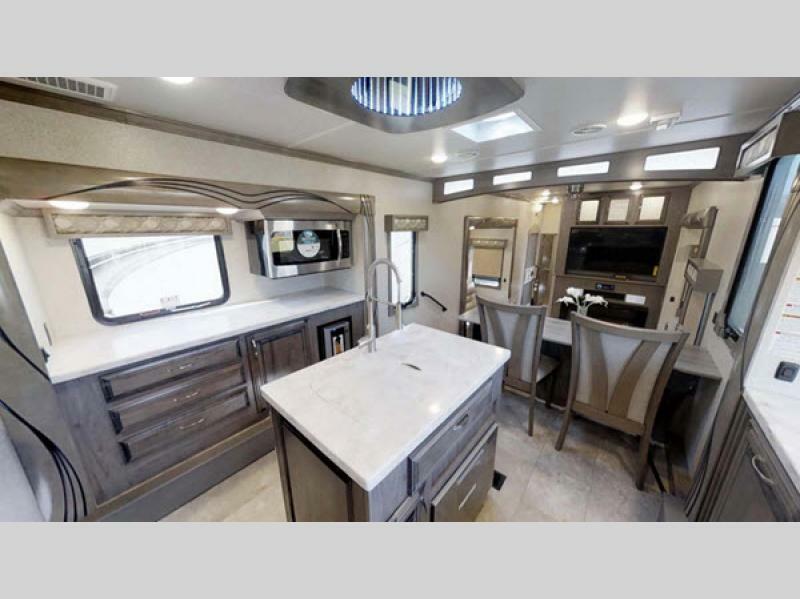 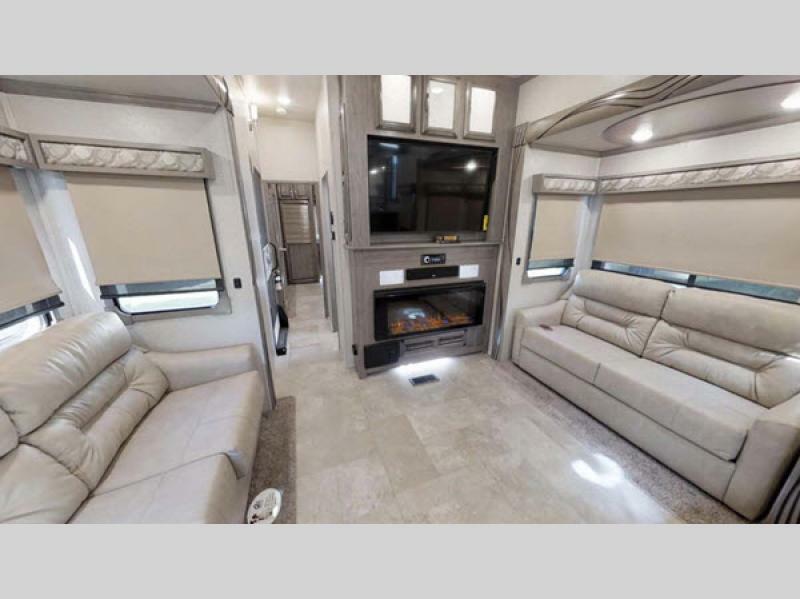 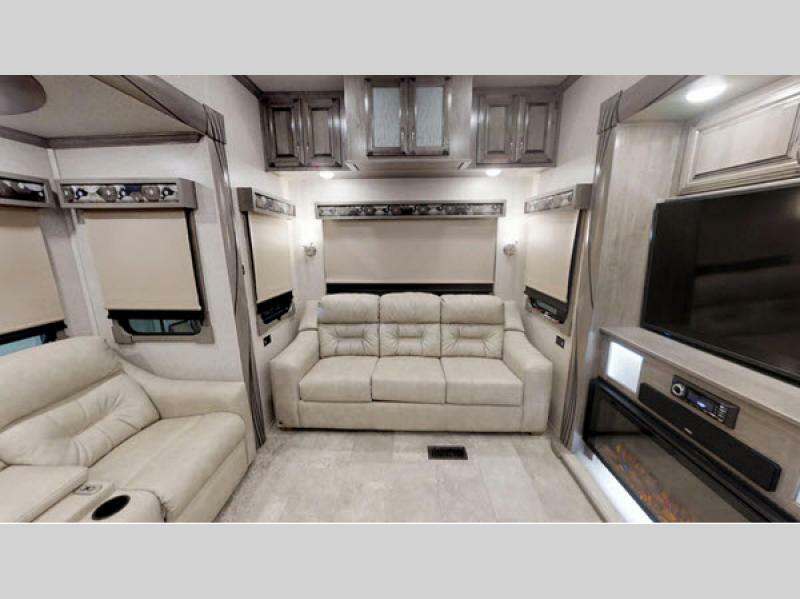 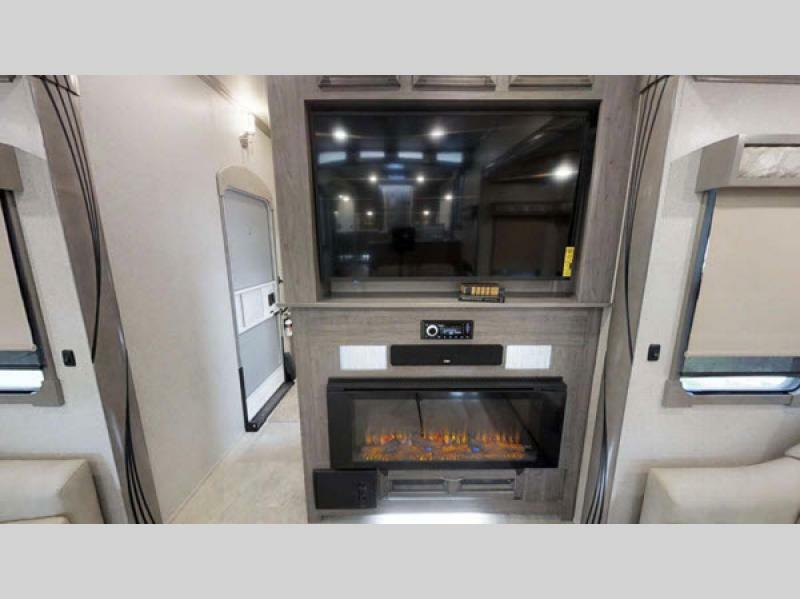 The sleek graphics and luxurious interior of the Forest River Cedar Creek Champagne Edition fifth wheels will have you celebrating every adventure you take! 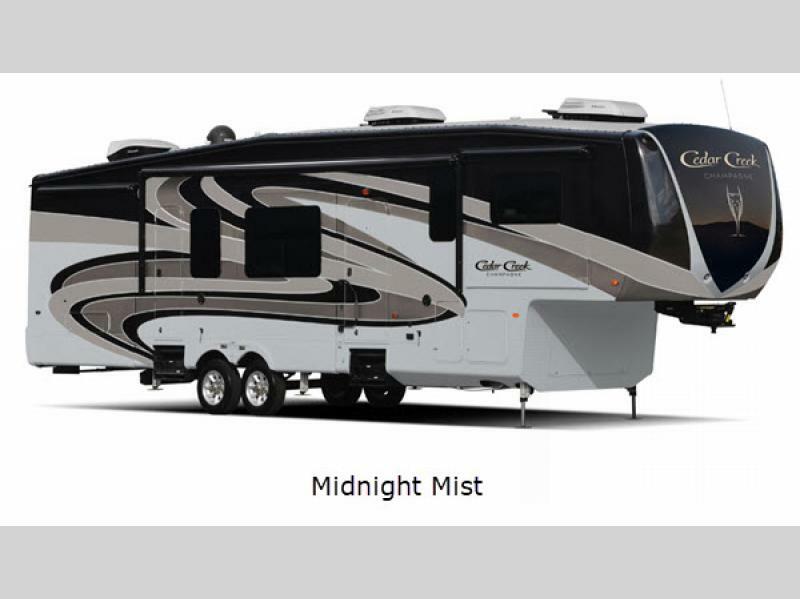 These units feature a "True" high-gloss gel-coat exterior for long-lasting beauty and durability. 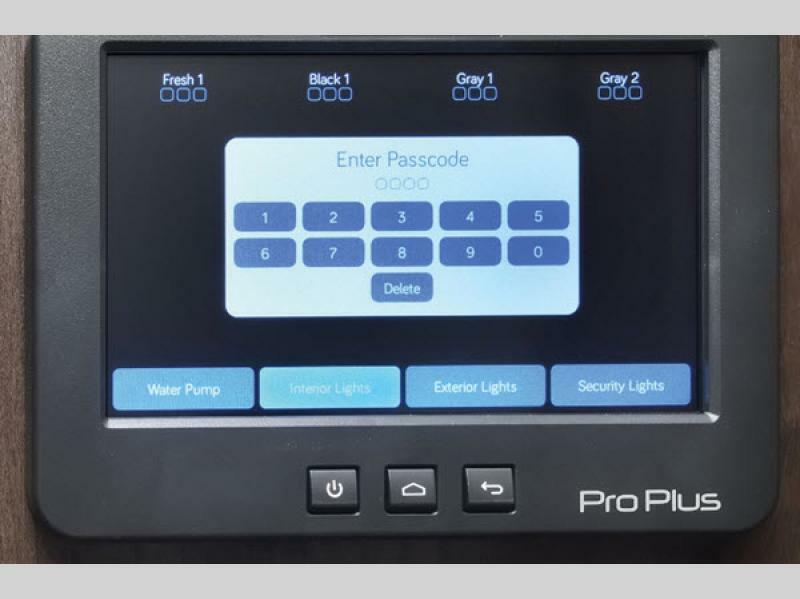 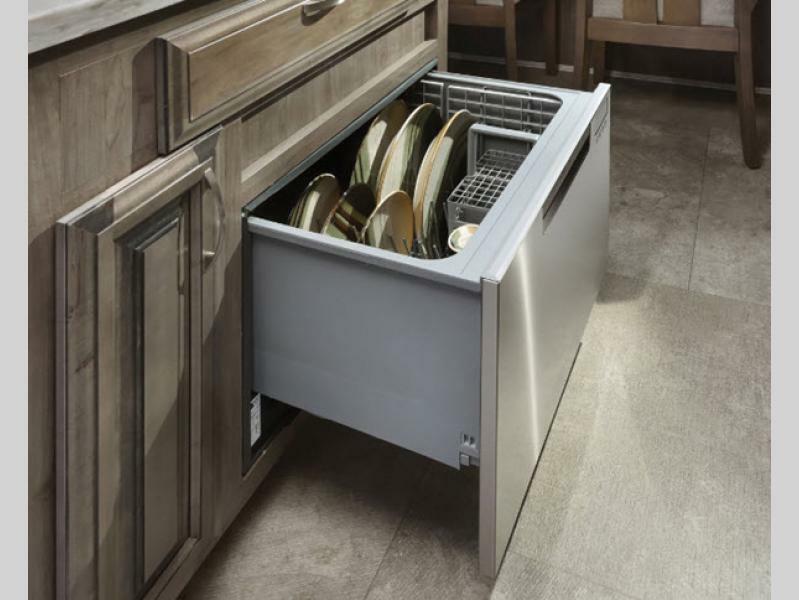 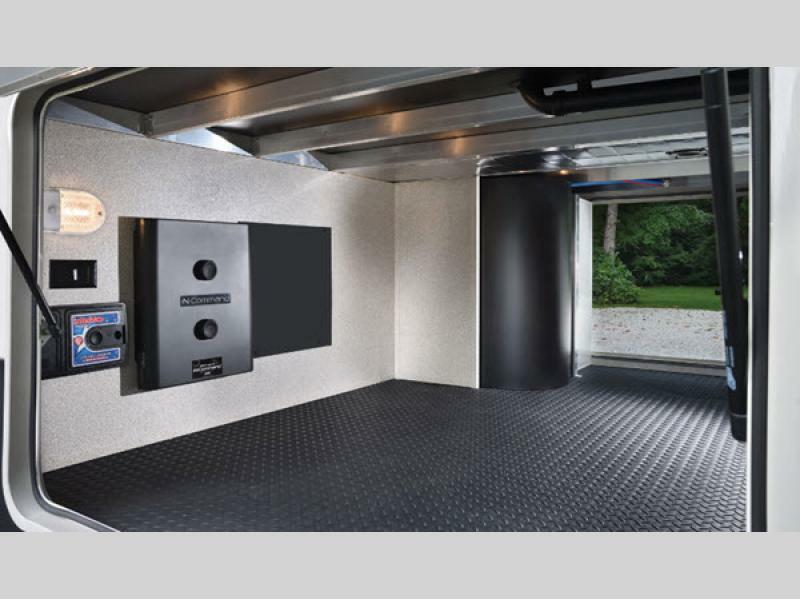 You will love the automatic 6-point hydraulic leveling system as you set up, as well as the MORryde® 5-tier "Step Above" entry stairs. 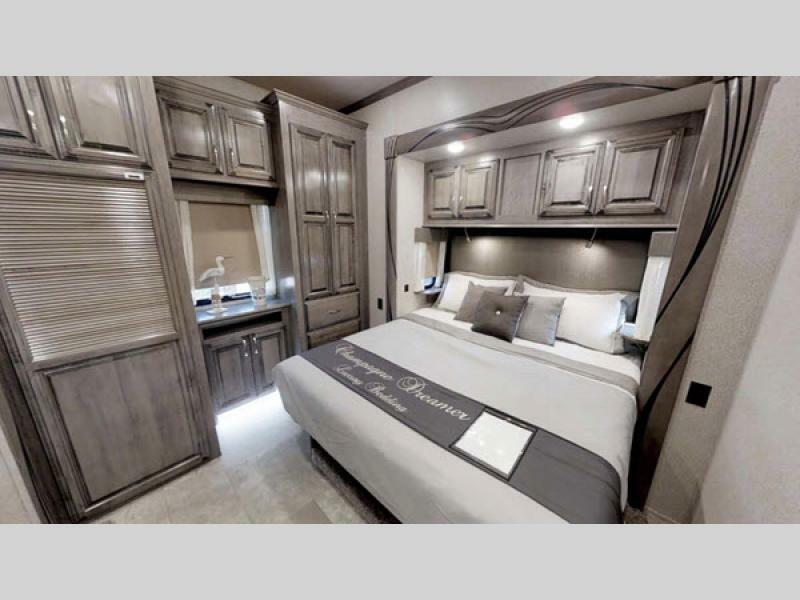 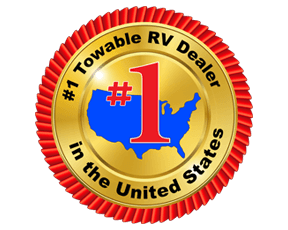 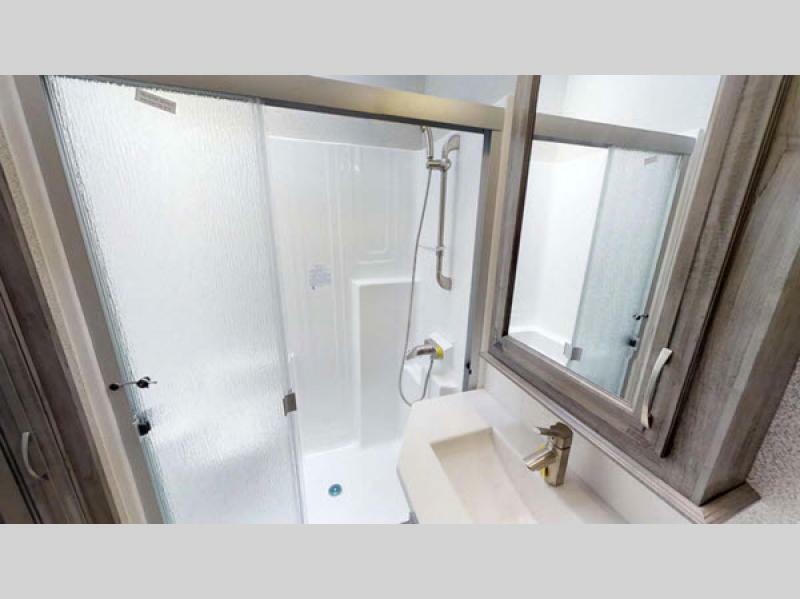 On the inside you will immediately notice the upscale quality throughout and quickly see how completely comfortable you will be during all of your travels. 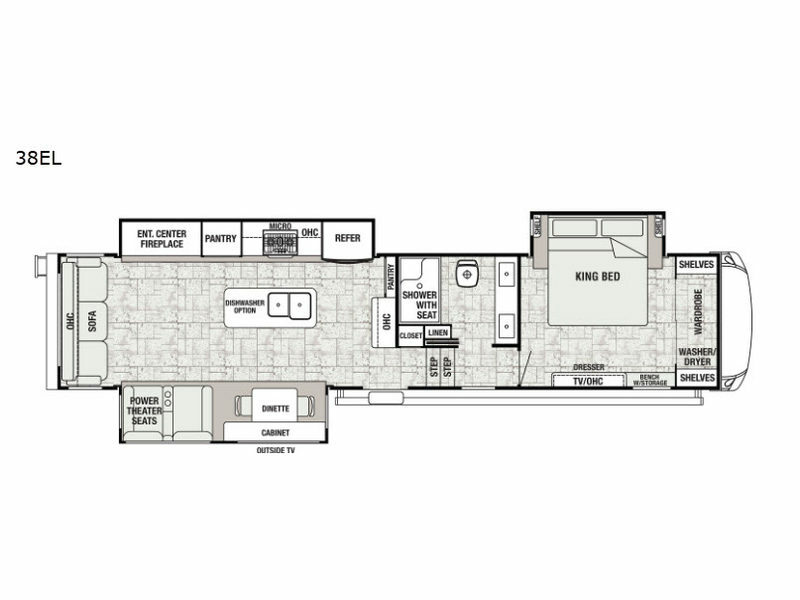 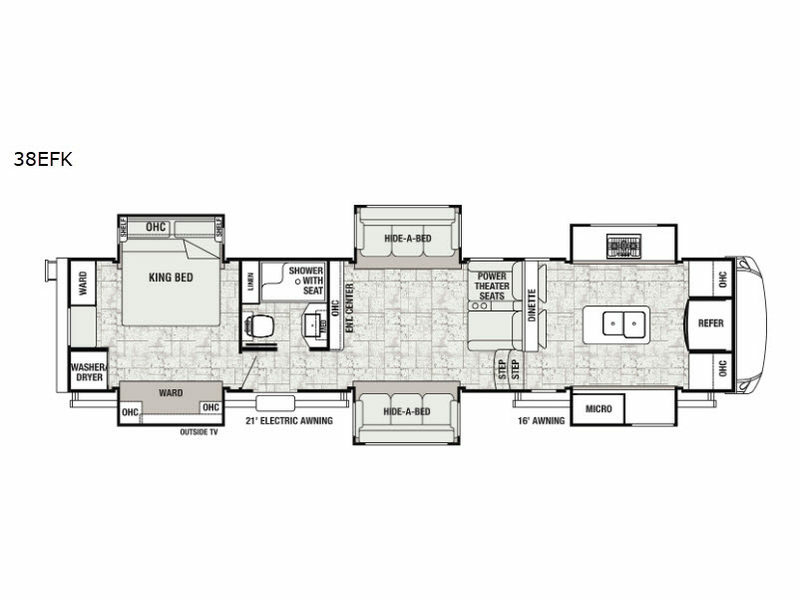 There is designer flooring and high-sheen Maple cabinetry to enjoy throughout each model, and the glamorous features that have been included in the Cedar Creek, like the central vacuum with automatic dustpan, 48" fireplace, Franklin® power theater seating, and island overhead infinity light, will amaze you each and every time you use them. 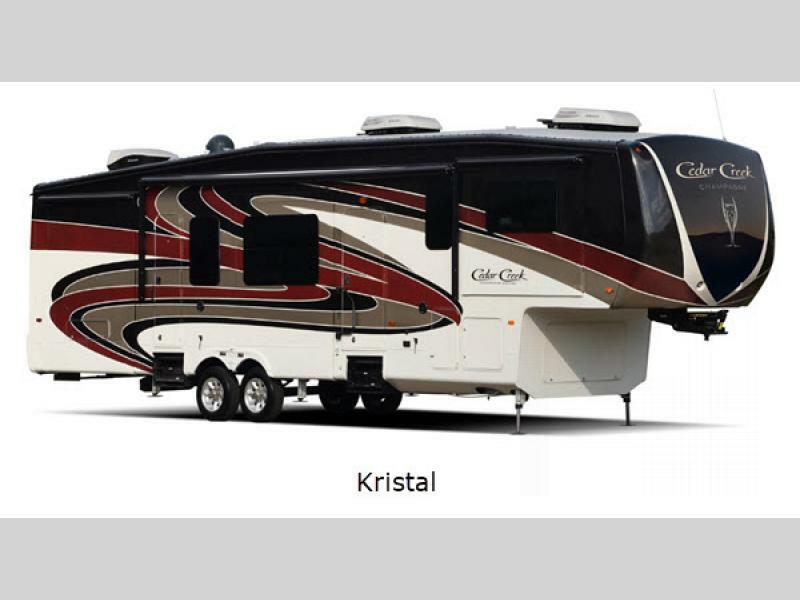 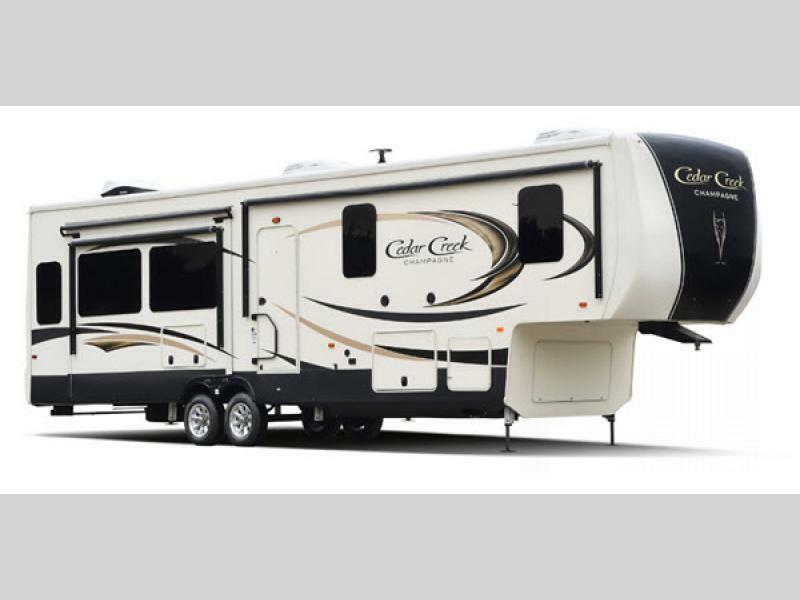 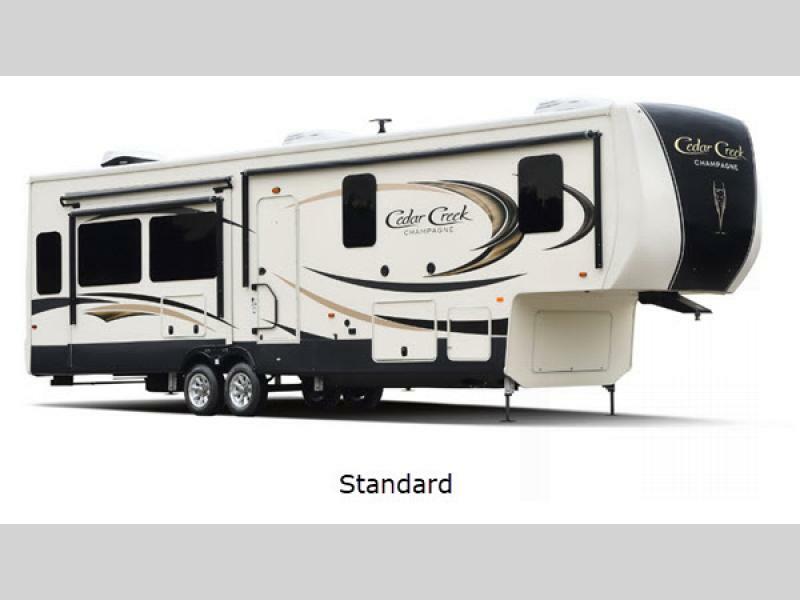 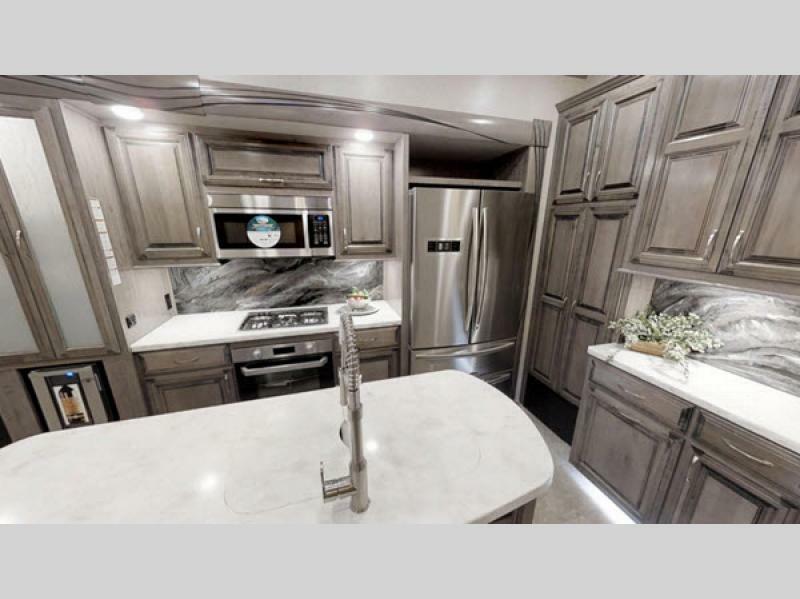 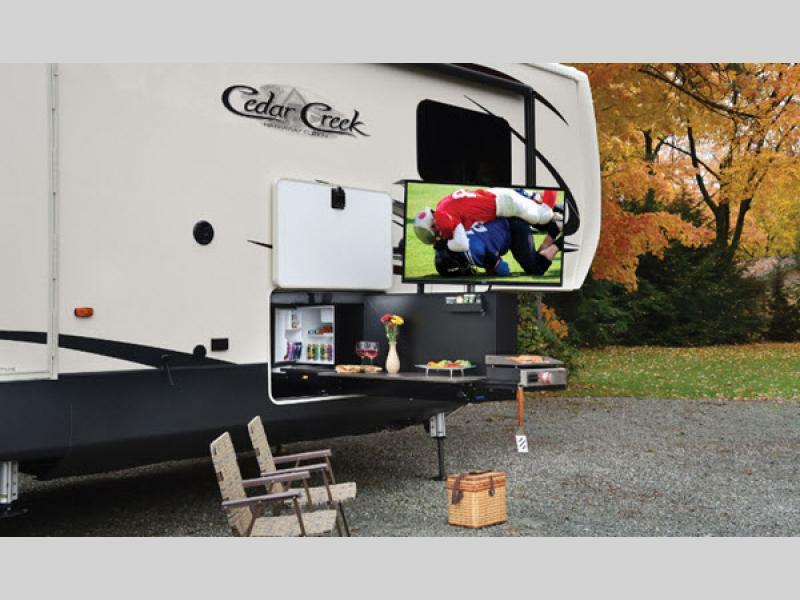 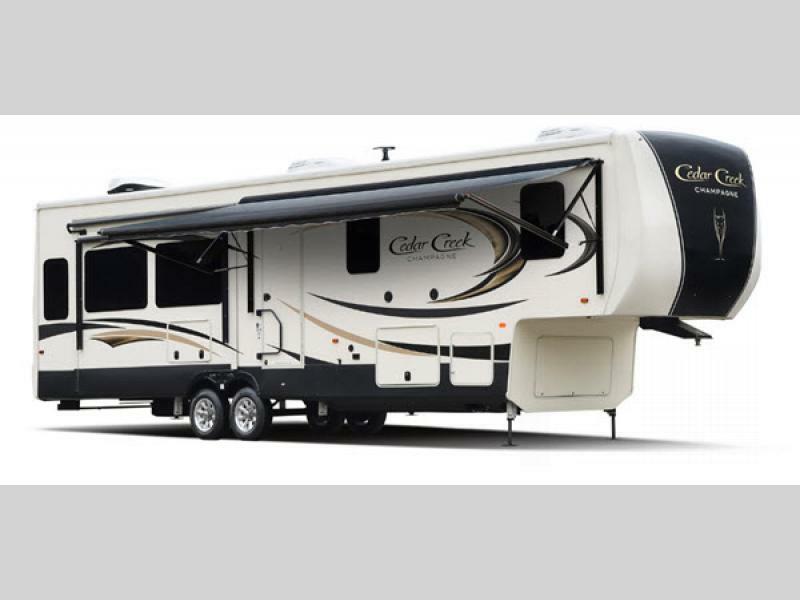 Come choose your new Cedar Creek Champagne Edition fifth wheel model and celebrate all of your future camping adventures!